GTArcade’s free to play arcade shooter Stellar Striker has a new update that’s bringing a list of improvements and optimizations to the game! 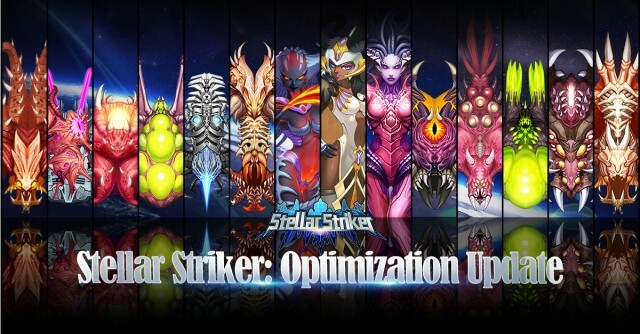 Stellar Striker is a mobile game that delivers classic shoot em’ up gameplay with slick modern visuals and intense bullet-hell action. Read more about the changes in the update. The game is no longer restricted by regions. All players can download and play the game from the download link: bit.ly/StellarStrikerTest (not available yet in all AppStore and Google Play). During the game tutorial, a prompt asking players to bind their accounts has been disabled. The Fighters Frost Prism and Fire Plume, as well as their materials, have been made easier to obtain. Whether it’s absolute zero or a blazing inferno, unleash destructive elemental attacks on your enemies now with Frost Prism and Fire Plume! Some players have found the game’s difficulty curve a little too steep, and while the game was designed to be challenging, we don’t want our players to feel like they’re stuck in place. So we have increased all EXP, item and resource rewards from Adventure, Stellar Voyage, and Grand Conquest! Now players will be able to upgrade their fighters much faster to face the toughest challenges! To make Stellar Striker more accessible, the level requirements for many game functions like Sign In, Shop, and Blitz have been lowered. Now players can experience more of the game at an accelerated pace and become a legendary commander before they know it! All players will receive a big rewards package in light of the new update. Stellar Striker is an action-packed arcade shoot ‘em up featuring vibrant graphics and addictive gameplay. By infusing progression and RPG elements of GTArcade’s other titles into the game, players can discover a variety of unique game modes and customization options to master. Play Stellar Strike for free today and bring back the nostalgia of classic arcade shooters!